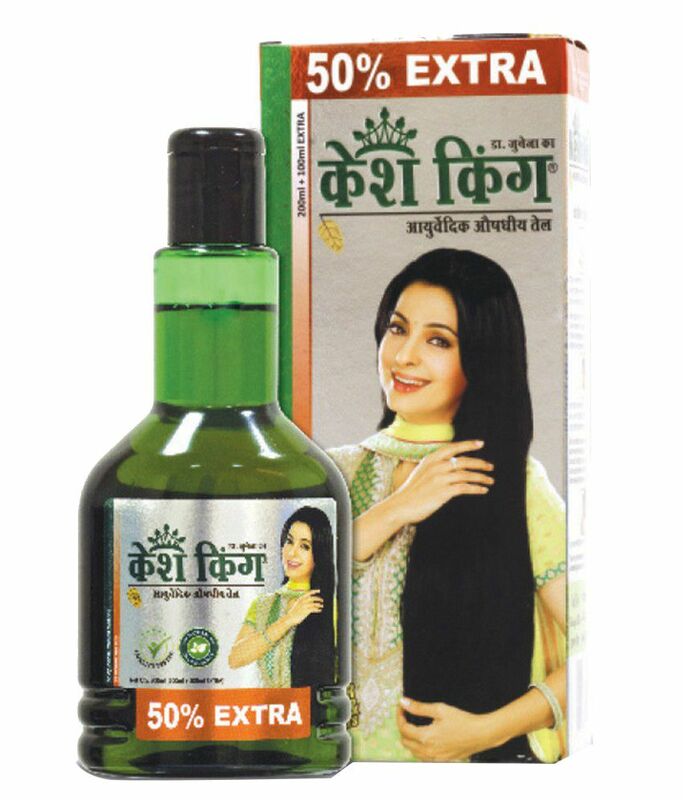 Kesh King Ayurvedic Medicinal Oil comes in a green transparent plastic bottle with a simple shape and design. Being made of plastic, it survives any accident easily while the transparency allows us to keep an eye on the amount of product left inside. It has a pretty long neck which offers a good grip while pouring the product during application. There is a screw cap tightly set over the opening of the bottle to prevent any spillage or leakage. It again has a flip top part, which ensures smooth transfer of oil onto the palm without causing any mess. The size of the bottle is good enough to be carried in a purse. The label on the bottle and the external paper carton come with all necessary information printed on it. The packaging is quite user-friendly and travel-friendly as a whole. The oil is greenish in color (just like amla oil) and very lightweight in texture. It has a thin (almost runny) non-sticky consistency, which makes it easy to apply and blend. The strong herbal smell of the oil might cause a little discomfort to people with sensitive noses. 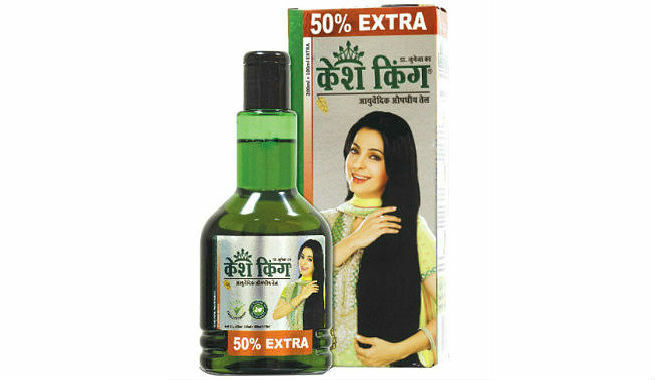 Kesh King Ayurvedic Medicinal Oil is a superb combination of natural herbs, which are quite beneficial for our locks. Regular massage of this oil into the scalp nourishes the scalp as well as hair fibers without causing any harmful side effects. As a result, the hair looks healthier, thicker, and more voluminous. It improves the texture of the hair and makes it softer, smoother, and shinier. It also promotes the growth of our locks and can be washed easily during shampooing. But the oil doesn’t do anything to control hair fall, stop hair loss, or ensure hair regrowth. It has also been reported to turn dry hair even drier while triggering other related issues like roughness, frizzes, split ends, and excessive hair fall in some rare cases. Warm up the oil (take as much as required based on the length and density of your hair) for 5-7 minutes. Cool it down for a couple of minutes. Massage it into the scalp by using your fingertips and apply it thoroughly to your hair. Wrap your head with a warm towel. Let it sit overnight and wash with a mild herbal shampoo in the next morning. Verdict: If you have no serious issues with your hair and only want to improve its texture, go for Kesh King Ayurvedic Medicinal Oil. It is not a hair loss or hair regrowth treatment. It is even better to undergo a scalp test prior to using it.